Tamil Nadu Deputy Chief Minister O. Panneerselvam has said that Prime Minister Narendra Modi asked him to merge his faction with Chief Minister Edappadi K. Palaniswami and be part of the AIADMK government. Panneerselvam had in August last year merged his faction with Palaniswami. 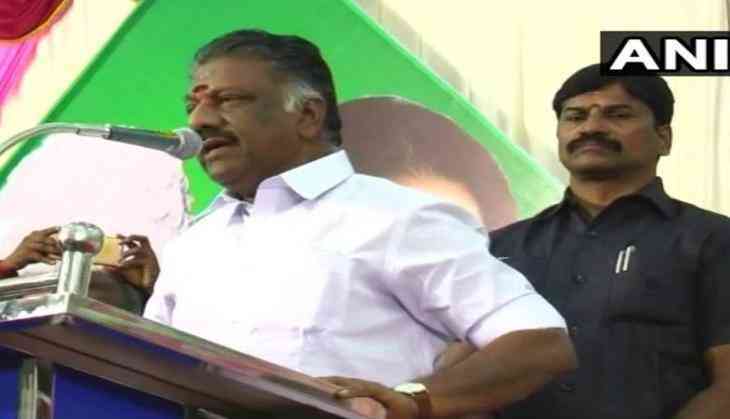 Addressing his party workers in Tarni on Friday, Panneerselvam said, "Prime Minister Modi told me 'To save party you should merge both AIADMK factions.' I agreed but said that I will not become a minister and will only take party position. The Prime Minister said 'no no, you should be a minister and continue with politics,' and that is why today I am a minister." Panneerselvam, who had become chief minister of the state following the demise of his predecessor J Jayalalithaa in December 2016, said that he had faced harassment after taking over the position. "The problems I faced, harassment I faced was limitless. If anybody else would have been in my place he would have committed suicide. But I tolerated everything just for Amma (Jayalalithaa)," he added. Panneerselvam, who was against the elevation of Jayalalithaa's close confidant Sasikala as chief minister, alleged that her family members tried to work for his defeat in the 2016 polls.